Don’t be a drip, fix that oil leak with these adjustable pushrod tubes. 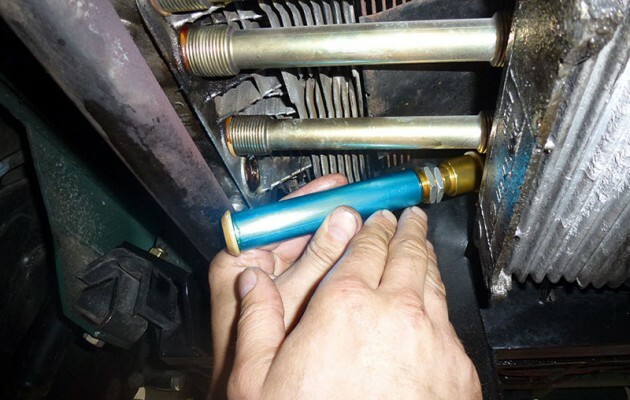 Here is our helpful step by step guide to help you change your own pushrod tubes. It’s fairly common for old VWs to drip the occasional drop of oil, and for a few owners it’s part of the package of owning a classic car. However, with ever-stricter MoT regulations and increased environmental concerns, dripping oil these days is not considered acceptable. The design of the air-cooled VW engine is robust but, with age and a little neglect, oil can find its merry way out of your beloved flat four. There are quite a few common areas for your classic VW to spring Texas gold. The rocker covers are a favourite, mostly due to the cork gaskets going brittle with age and cracking (easy fix). The sump plate is also high on the list of leak potentials, and this is mostly due to over-zealous owners using a heavy hand to do up the delicate 10mm nuts that hold the plate to the crankcase. Oil pressure switches often leak – again, an easy fix – as do crankshaft oil seals if the engine is tired (not so easy fix, that one’s an engine out jobbie). A final fairly common area for your VW to leak oil is from the pushrod tubes, and this it what we will address in this feature. Strictly Aircooled your bug mechanic shop.